This CD+DVD package contains the opening song to the TV anime Dungeon ni Deai wo Motomerunoha Machigatteiru darouka (ダンジョンに出会いを求めるのは間違っているだろうか). 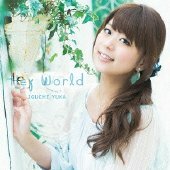 Songs by Iguchi Yuka (井口裕香). 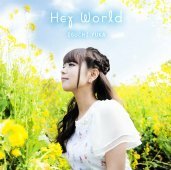 This is Yuka's 4th solo single. 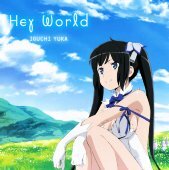 The DVD contains a promo video of "Hey World", a making of video, and some CM videos. The anime version has a different song from the other CDs.